Murder is Everywhere: Today is a Day for Singing! 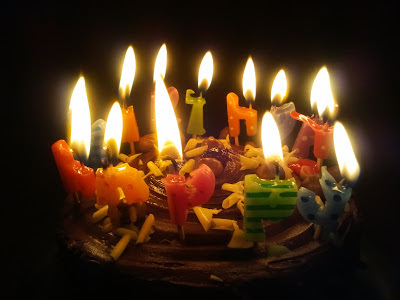 Happy Birthday to me, happy birthday to me, happy birthday dear, daddy-grandpa-boyfriend, happy birthday to me. Well, I guess that just about says it all. Except for the number of candles on the cake. And who even bothers to count anymore anyway. Once you hit forty it’s all the same. Or is it fifty? Or is it… Just can’t quite remember at the moment. 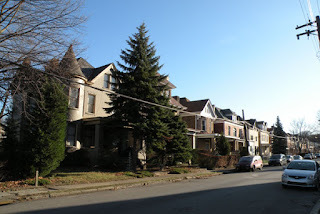 And if you have to pick a place to celebrate a birthday, it’s hard to beat the place I now call home. I’ve celebrated more birthdays on Mykonos than anywhere else on the planet. 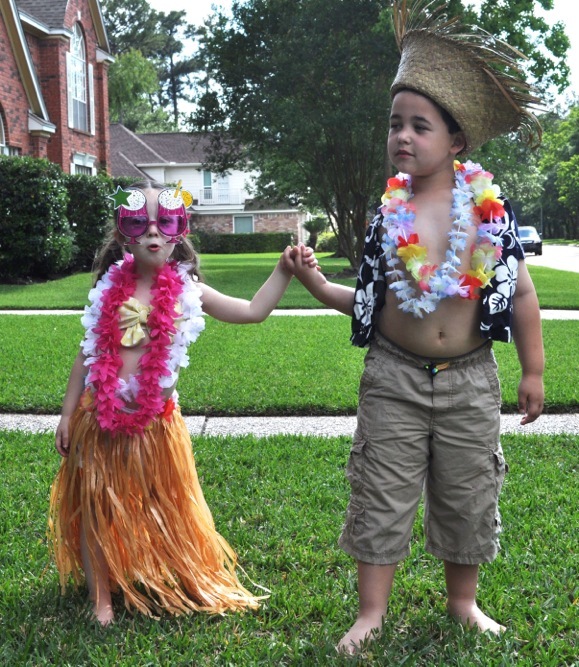 And my parents weren’t Gypsies. I lived in or around Pittsburgh until graduating college. Then it was off to Boston, for a bride, a baby boy, and law degree. Then on to NYC for a career, baby girl, and bye-bye bride (a still grand lady). Then came Greece. And it obtains. No wonder. Look at these photos. No (h)airbrushing, just the effects of jet lag on the fishermen struggling to catch something other than a cold while free-diving a few days ago off the coast of Mykonos. I’d like to share some photos of my birthday dinner tonight, but without my time travel machine that’s not possible. So, I make you a promise: I’m having my birthday party celebration when my grandchildren and their parents (notice the order of importance) come over for a visit. I’ll post photos of that event. Assuming I remember the camera. As for birthday presents, no need to send any. 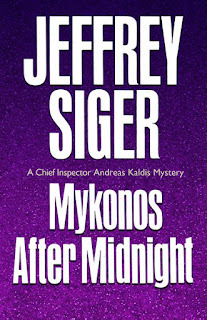 I received mine serendipitously this past week from a tourist who stopped by where I live on Mykonos to ask me to autograph a copy of my first Andreas Kaldis novel, Murder in Mykonos. Yes, that in and of itself was a great honor—even though not quite as visually stimulating as the fan who once approached me on a beach au natural (link to that article here)—but what really made my day was what the gracious woman said after I’d signed and thanked her. 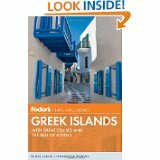 “Have you seen this?” It was a copy of Fodor’s Guide to the Greek Islands (2012). 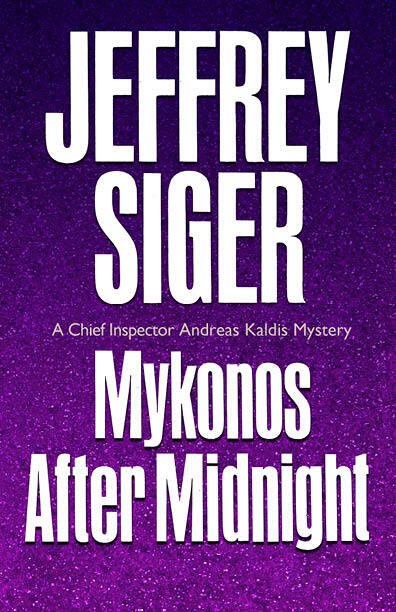 "Some say that after midnight, Mykonos is all nightlife––this throbbing beat is the backdrop to Jeffrey Siger's popular mystery, Murder in Mykonos." You could have knocked me over with a feather. I felt as if I’d just won an Oscar. Screw Kirkus (only kidding) or the New York Times (REALLY only kidding), I’d made Fodor’s! And in a most bizarre coincidental twist, the title of my new book coming in September—one that throbs and then some to the island’s magical beat—is MYKONOS AFTER MIDNIGHT! A few parting words on this significant occasion [nod to the camera]. Somewhere out there is a throbbing beat calling out your name; go with it while everything else is still ticking. Just thinking about the party gives me a headache. Congratulations. Wish you were here, Stan. I have ibuprofen. Thanks, my friend. Party hearty, Jeff! We're going to our daughter's today to celebrate her birthday (which is later next week). So, I'll raise one to you while we're at it! And the best to your daughter, Everett. So nice to have another Gemini in the area. Double congrats: birthday and fame! Enjoy the day and the year ahead. Certain we will enjoy your next book - which has already been ordered! Happy Birthday, Jeff. I'd call and sing to you over the phone, but I like you too much to spoil your day. BIG LOVE from the Big Apple to you today and all the year ahead! Health and long life to you, Jeff. Thanks, Beth, and same to you, my friend. Happy Birthday, Jeff! And being in Greece, when is your namesday? You could celebrate both days. Now to figure out what Saint has a name close to yours. Mostly, I'm called, Zephyros, so you choose:). Have a spectacular birthday, Gramps! Just don't do anything Barbara wouldn't do. I don't think I'll touch that straight line, my friend. Mama didn't raise no fool. :) Thanks, Lenny. Happy Birthday, Jeff! I lift a glass in your honor! Belated Happy Birthday, Jeff! I'm sure it was a great party. Plenty of those beers you like! I celebrated sitting at the airport waiting for a flight until the airline decided to send me home at midnight - hence the late wishes. But I was thinking of you! Thanks, Michael, and yes, beers beat biers anytime! Would have loved you to be here. Next year?